Acer Aspire 5755G laptop review - today at For consumers blog we are going to take a closer look at one of the capable 15.6-inch Acer laptops which is currently offered at the very good price of around £350. 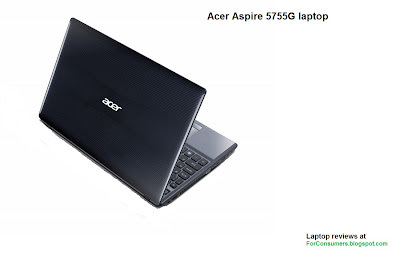 Acer Aspire 5755G is perfect for multimedia and games. The fast 2.3GHz dual-core Intel Core i3 processor, 4GB of RAM and the dedicated Nvidia GT630M graphics means you won't have any issues even with the newest action games. Acer Aspire 5755G is not specifically a gaming laptop but it does the job very well. Acer Aspire 5755G is also the perfect office companion, it is very fast and the bright 15.6-inch CineCrystalTM LED backlit display will save you a lot on energy consumption as well. HD content looks just perfect on a display like this one. 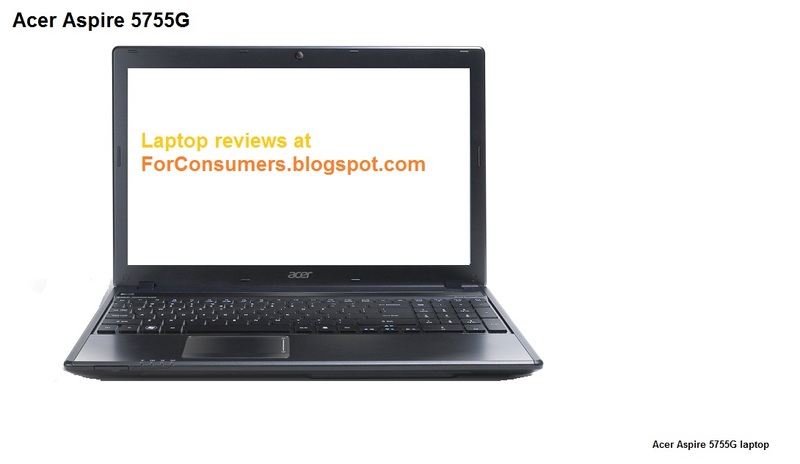 Connectivity options of the Acer Aspire 5755G laptop include 802.11b/g/n Wi-Fi as well as fast Gigabit Ethernet connection. Other interfaces like the 2x USB 2.0 and USB 3.0 ports, HDMI port and VGA port are also available in this laptop. Storage - Acer Aspire 5755G has a massive 500GB hard drive which should be more than enogh for your storage needs. The 4 in 1 card reader in the Aspire 5755G laptop accepts MS, MS Pro, MMC and SD cards. Additional multimedia features include built-in camera and microphone so no problem with your conference and Skype calls. The battery of the Acer Aspire 5755G laptop will hold charge for around 4-5 hours which is OK for a laptop of this size. Our overall impression with this laptop is very good. It has all the basic stuff and the price tag is also on the right side so we would definitely recommend the Acer Aspire 5755G laptop.